I whisper to no one: "Hello, I'm Gabriella, can someone tell me what to do next, please?" 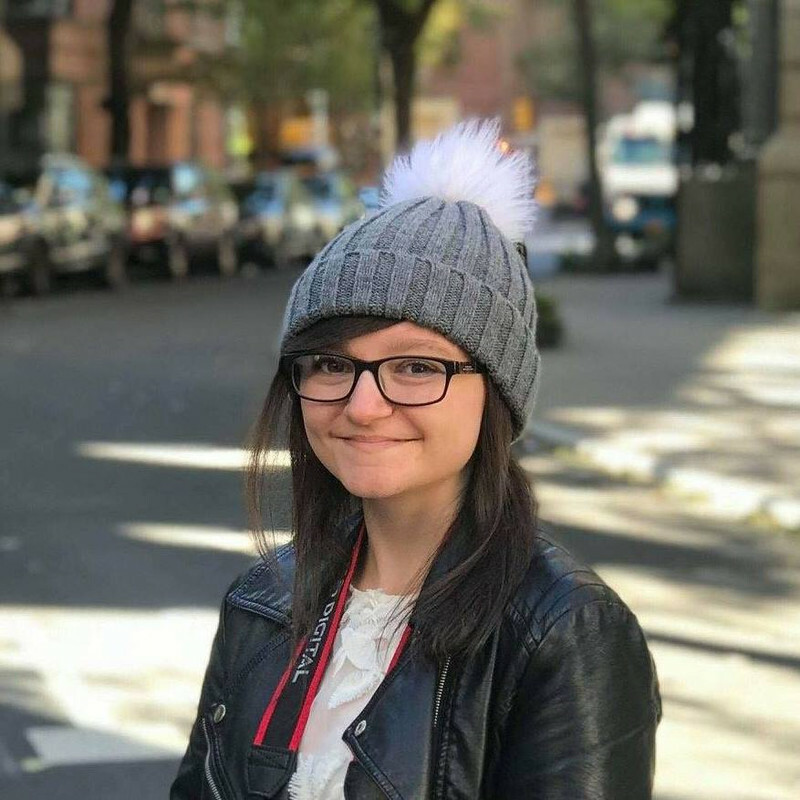 In the past twenty-four hours, Gabriella Midwinter has lost her home, her dad, her school and her best friend. This morning everything seemed so normal. But caught between arguing parents and moving house, twelve-year-old Gabriella somehow slips through the cracks. Now she's more alone than ever before. 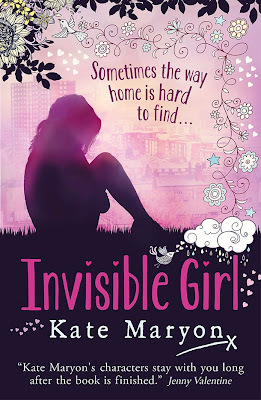 'Invisible Girl' is about a girl called Gabriella, who lives in a scruffy, dirty old flat. She cooks for her Dad every night, and it's fine - just them, no one interfering. But then everything changes. 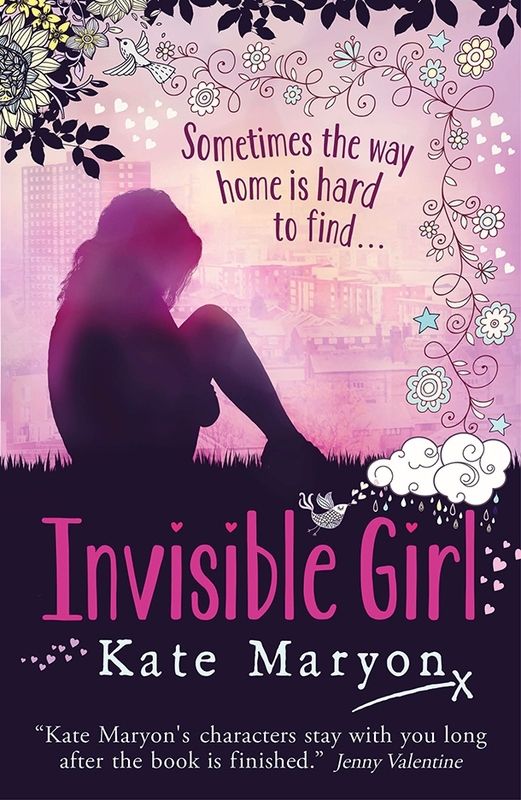 Her Dad gets a new girlfriend called Amy who is absolutely horrible, and things start to go terribly wrong. Eventually, Gabriella finds herself out on the streets, alone. Homeless. This book flowed really well and it was easy to read. I really felt empathy for Gabriella and hated her Dad's girlfriend, Amy. I didn't really like Gabriella's Dad either, because to put it simply, he was a bit of a doormat! It was like he didn't feel any love towards his daughter at all, and he never fought for her. He was incredibly lazy and very irresponsible! I really liked Gabriella though because she did what she thought was best and she was pretty intelligent. She seemed more grown-up than her parents at times. I felt that the book was slightly too young for me - I'd say it's suitable for readers aged 8-12 - but that didn't stop me from enjoying it. There were a couple of subplots, e.g Tia's strange Dad (for people who have read the book) which didn't really go anywhere and ended up getting a bit lost. The main plot was exciting though and full of surprises. I love the cover, it's gorgeous and very different from most books out there these days. It's really pretty! I enjoyed this book a lot, so I give it 4/5. Great review, Amber! I'm so excited to see if finally on the shelves and I'm glad you enjoyed! You're so right about the cover, it's just so pretty!